Prize of 6 lakhs; Opportunity to access further 4 crore of investment. Partners with GE Healthcare, Accel and C-Camp to shortlist and mentor applicants. 4 May 2017, Bangalore. Unitus Ventures (formerly Unitus Seed Fund), India’s leading impact venture fund investing in early-stage startups innovating for the masses, today announced the launch of the fourth edition of its StartHealth competition – a nationwide challenge to find, mentor and fund startups that are driving accessible and affordable tech-driven healthcare solutions for India’s low-income population. The winner will receive a cash prize of INR 6 lakhs and potential access of up to 4 crore of additional funding and investment. According to PricewaterhouseCoopers report, ‘Funding Indian Healthcare – Catalysing the next wave of growth’, in India, between 1996 and 2014, the average cost of hospital treatment rose by 10.4 per cent annually. With approximately 63 million people falling in to poverty annually due to lack of financial protection for healthcare needs, there is a growing need to find inclusive and scalable healthcare solutions, that can innovatively bridge the heavily skewed ratio of care providers and care seekers. Unitus Ventures (formerly Unitus Seed Fund) has partnered with GE Healthcare, Accel and C-Camp to shortlist and mentor the competition applicants. The focus areas for StartHealth 4 are startups with innovative solutions in artificial intelligence, analytics, devices, and home healthcare. UE LifeSciences, a previous StartHealth investee is bringing low-cost breast cancer detection to the masses in India with iBreastExam – an FDA-approved, low-cost, easy-to-use, handheld breast cancer scanning device. Since StartHealth funding, they have raised a Series A investment round of USD $4 million from Aarin Capital (Manipal Group), Kiran Mazumdar Shaw (Founder and CEO of Biocon) and Unitus Ventures (formerly Unitus Seed Fund). “StartHealth is a unique catalytic funding model tailored to entrepreneurs; on one hand, it enabled us to move the production of our core sensor technology to India and helped conduct a pivotal clinical study and on the other hand it offered us the privilege to raise further equity capital at the end of the grant,” said Mihir Shah, Founder and CEO of UE LifeSciences. “More than 5.8 billion people worldwide do not have access to quality healthcare. At GE Healthcare, we strongly believe that open and crowd-sourced innovation platforms for public health like the StartHealth challenge is an important way to address this gap. 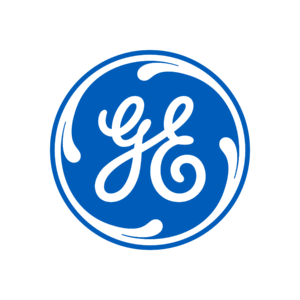 Through our five.eight accelerator, we are working with global health startups to improve healthcare quality and accessibility in developing or low-resource settings”, said Vikram Damodaran, Chief Product Officer, GE Healthcare, Sustainable Healthcare Solutions. “Accel has been investing in healthcare startups in India for over a decade and we are excited to partner with StartHealth across very interesting sectors and potentially identify some great companies that are building solutions and products for areas with high unmet needs,” said Barath Shankar Subramanian, Principal, Accel. Unitus Ventures (formerly Unitus Seed Fund) and the partners will conduct initial screening and shortlist 10 promising startups. Finalists will receive media publicity and the opportunity to pitch to the jury panel in the final round of the competition, who will jointly decide on the winner based on a pre-published rubric for rating that takes in to account critical success factors such as impact on the masses, leadership and team, innovation, and business model.